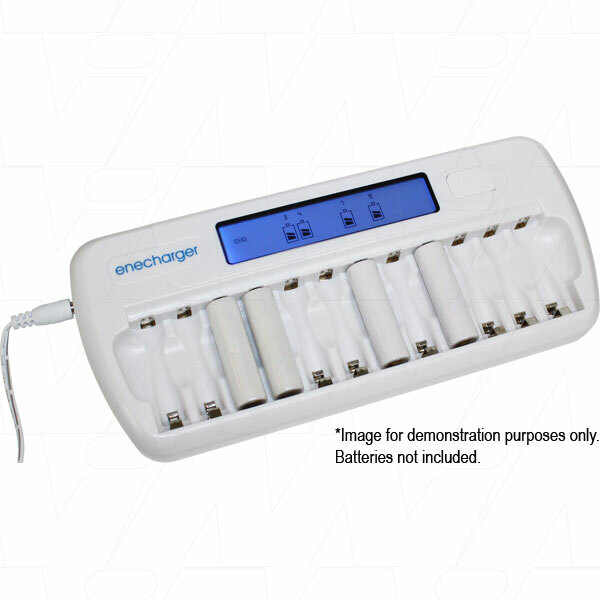 The new JBC017-11 from enecharger is a fully automatic quick charger designed for 1 to 12 Ni-MH AAA & AA cells . Recharges 1 to 12 pcs of any mix* of AA and AAA batteries at a time. *Whilst this charger can charge any mix of NiMH AA/AAA batteries at the same time it is not recommended to use a mix of different batteries together in your battery powered equipment. It is not recommended to charge cells below 700mAh on this charger. Use a lower output current charger for lower capacity cells.